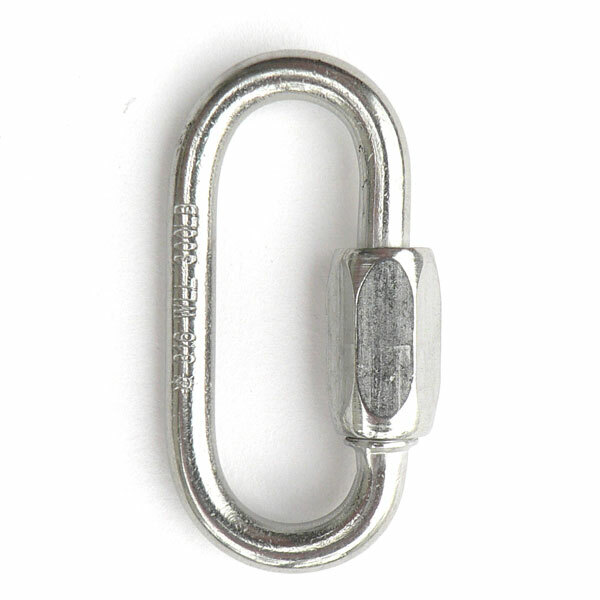 This stainless steel quick link allows for secure attachment or joining of our stainless steel chain and rings. 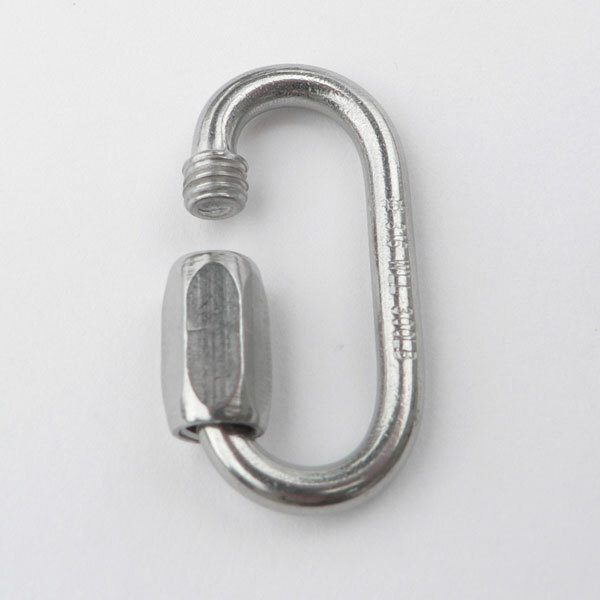 The threaded barrel screws open to accept rings and loops and then screws closed to retain them. 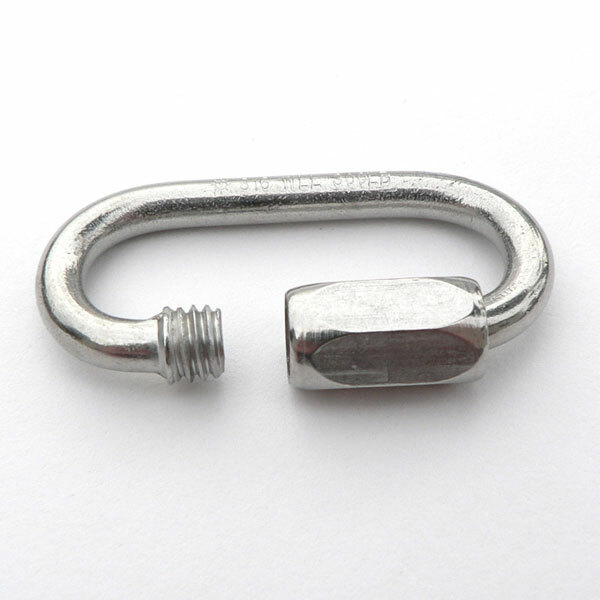 It can be tightened with a wrench for added security against vibration.